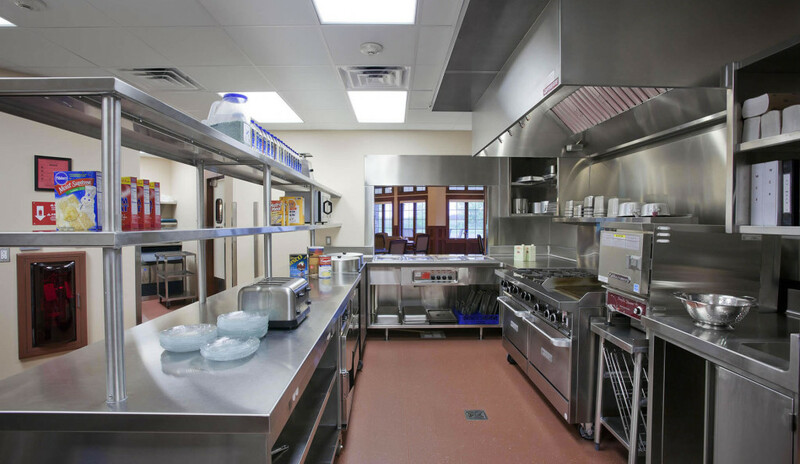 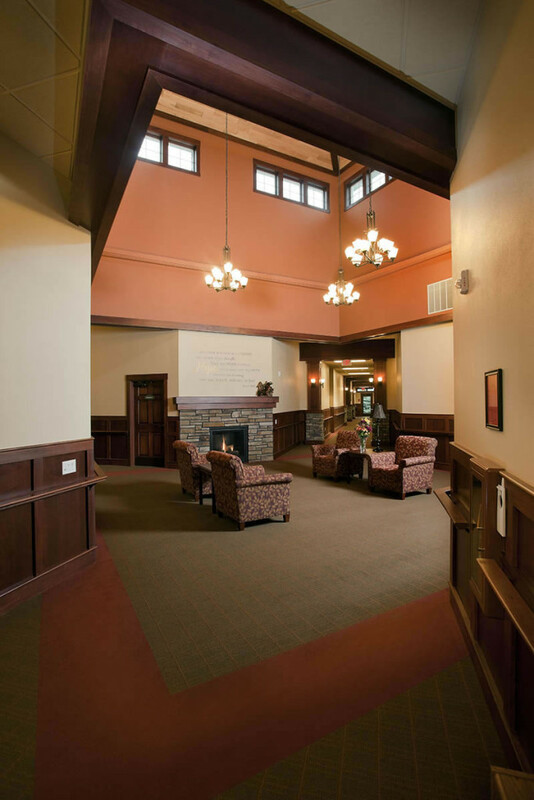 The Oostburg Campus of Pine Haven Christian Communities is nestled on 12 acres of land just north of Oostburg, and was the first project completed by Abacus Architects for the organization. 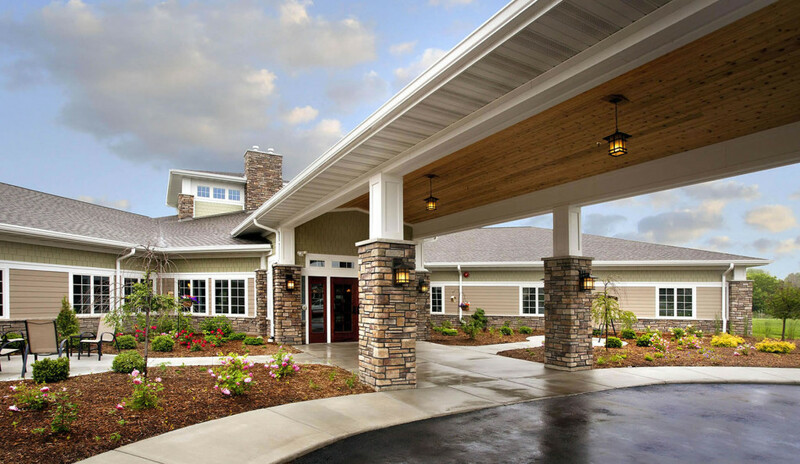 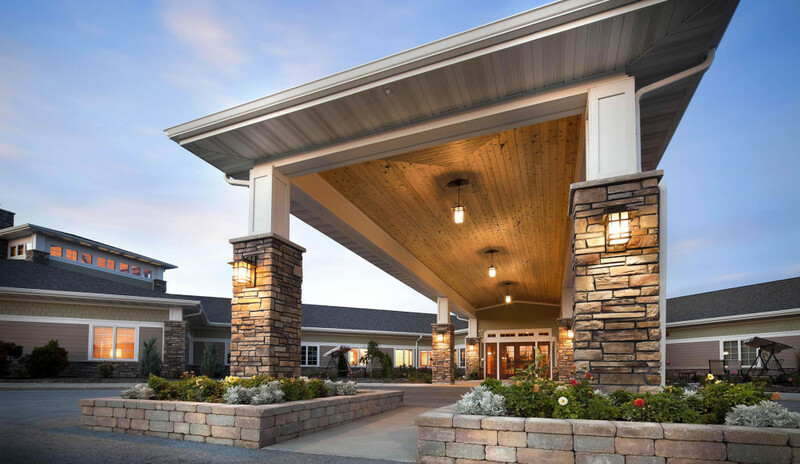 From its inception the developer envisioned a high-end, homelike building that would serve as a Community Based Residential Facility for the evolving senior market. 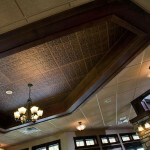 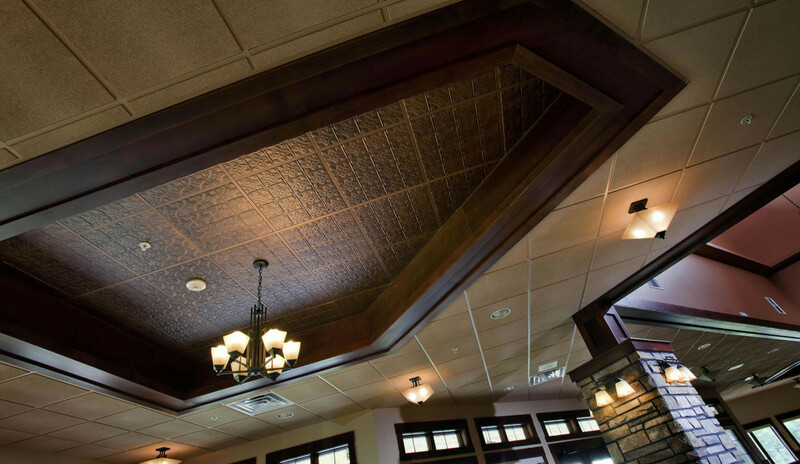 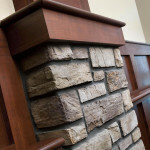 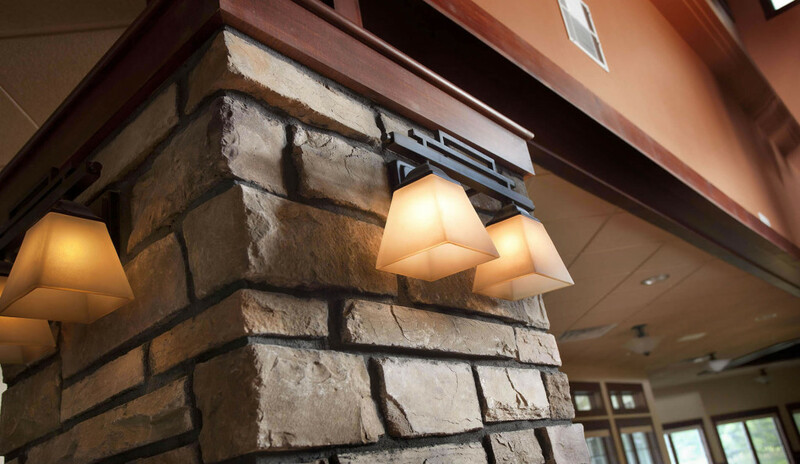 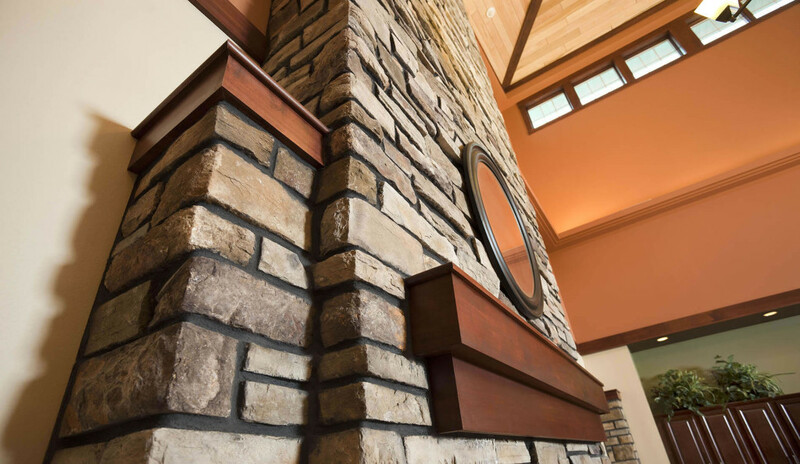 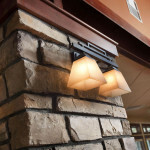 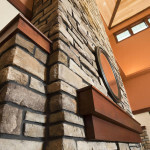 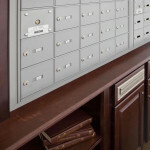 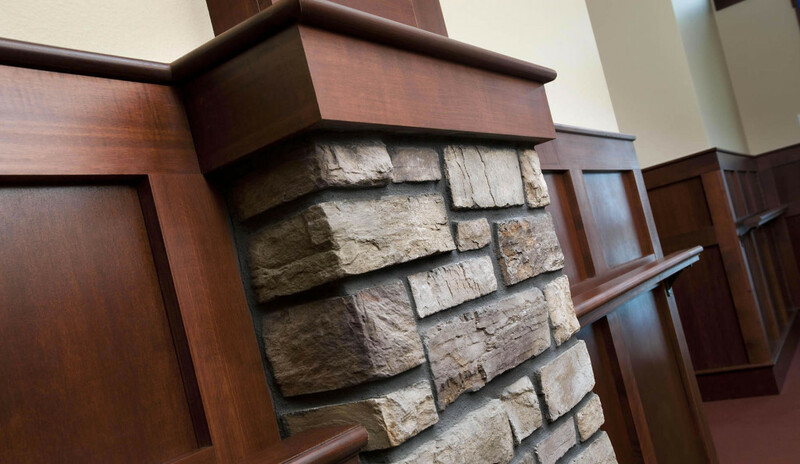 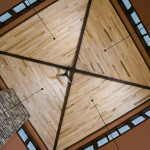 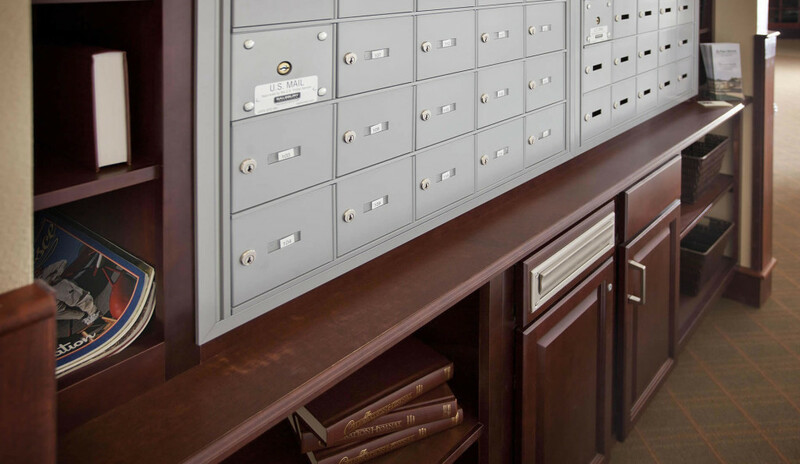 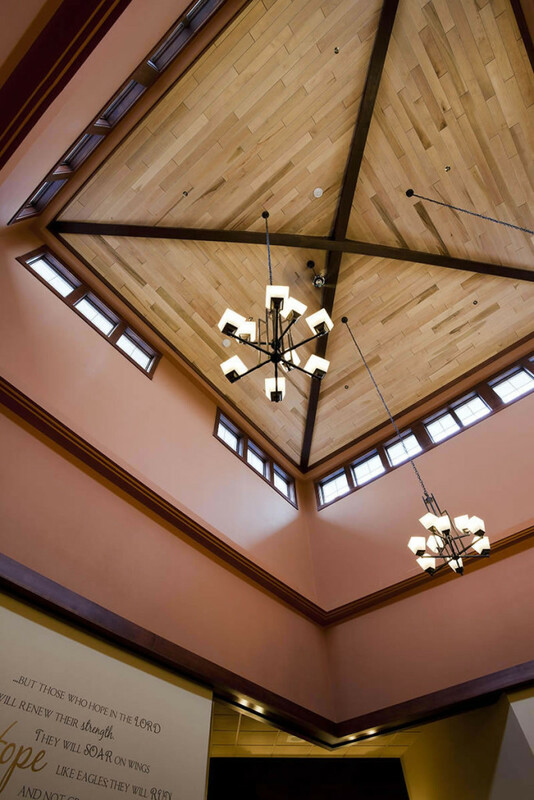 To fulfill the client’s objectives, Abacus chose a design evoking the Prairie style and the Arts and Crafts Movement. 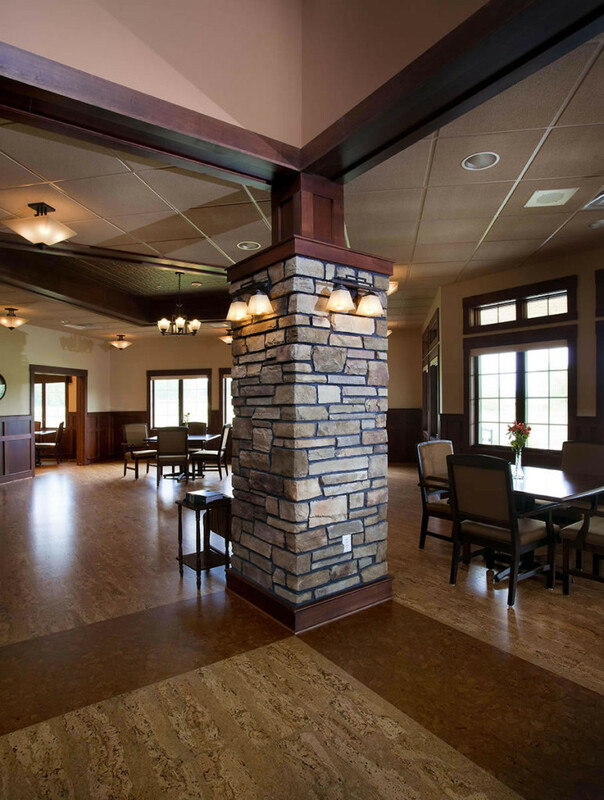 The low, sprawling profile of the facility’s exterior, faced with earth tones and natural stone, harmonizes with the surrounding countryside. 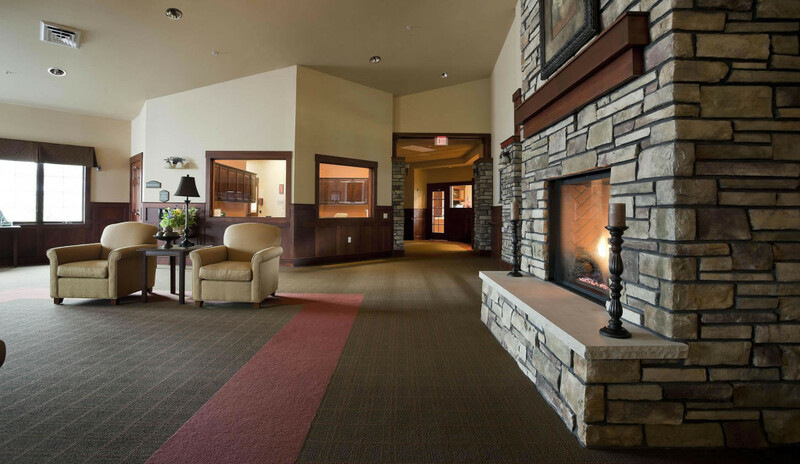 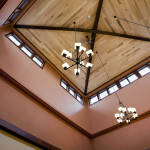 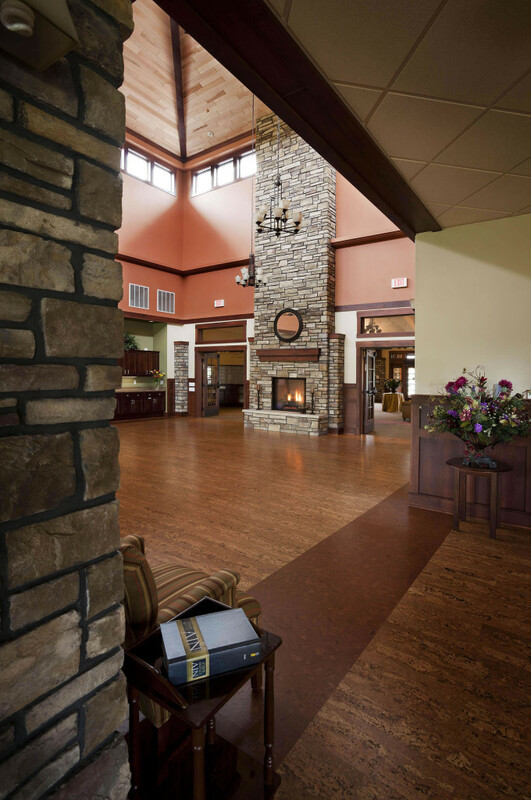 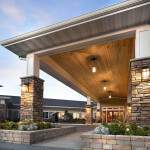 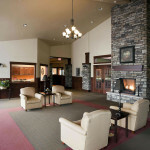 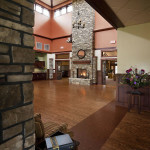 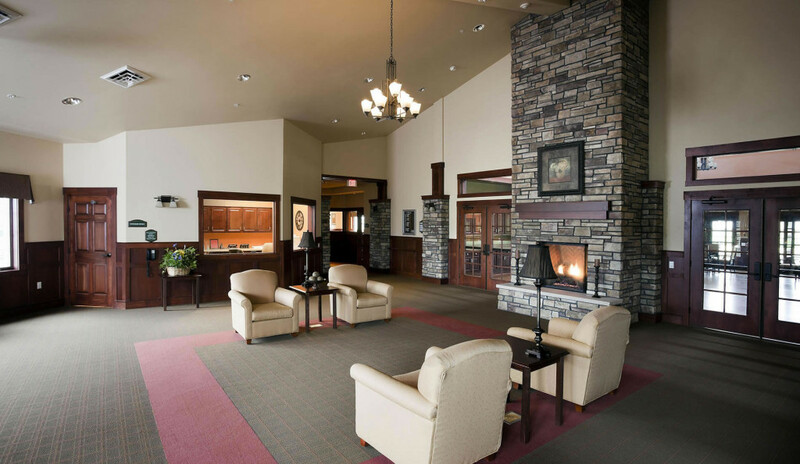 Inside, the lobby welcomes residents and guests in the manner of an Arts and Crafts lodge, featuring rustic chandeliers, tapered columns, cherry wainscoting, and a full-height stone fireplace impart. 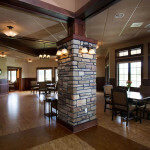 A two-story dining room overlooks the large pond that wraps around the back of the facility. 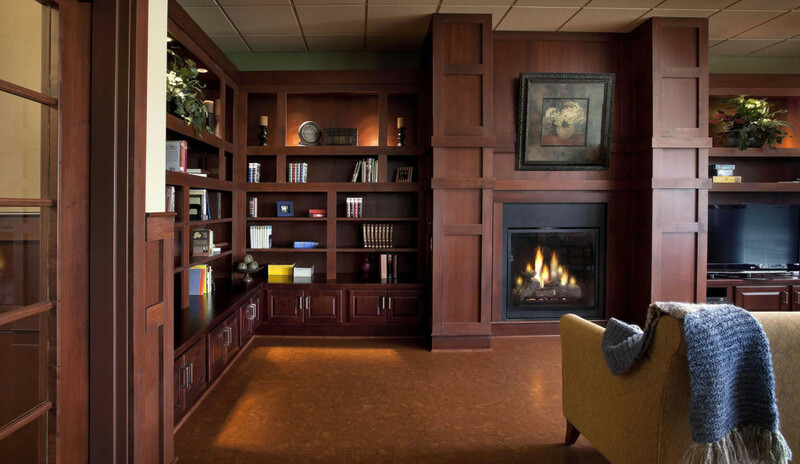 The rich colors of nature predominate in the common areas of Pine Haven, complemented by furnishings and carpeting in earthy hues. 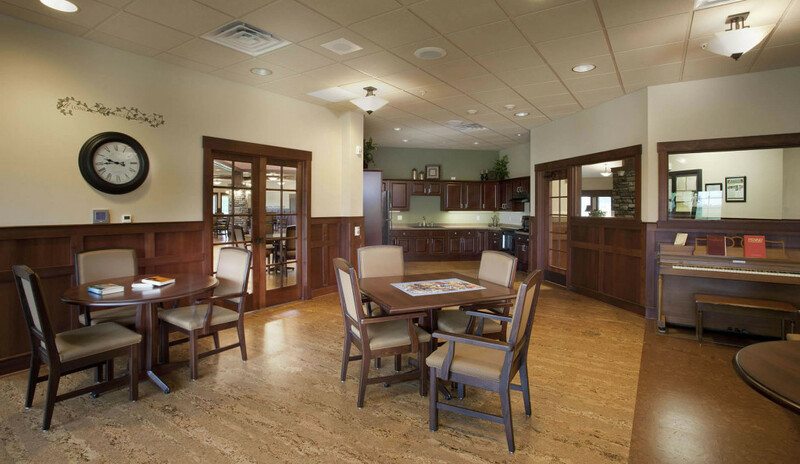 The dining room is finished with cork flooring, which is soft underfoot and sound-absorbent; a urethane coating protects it for cleaning. 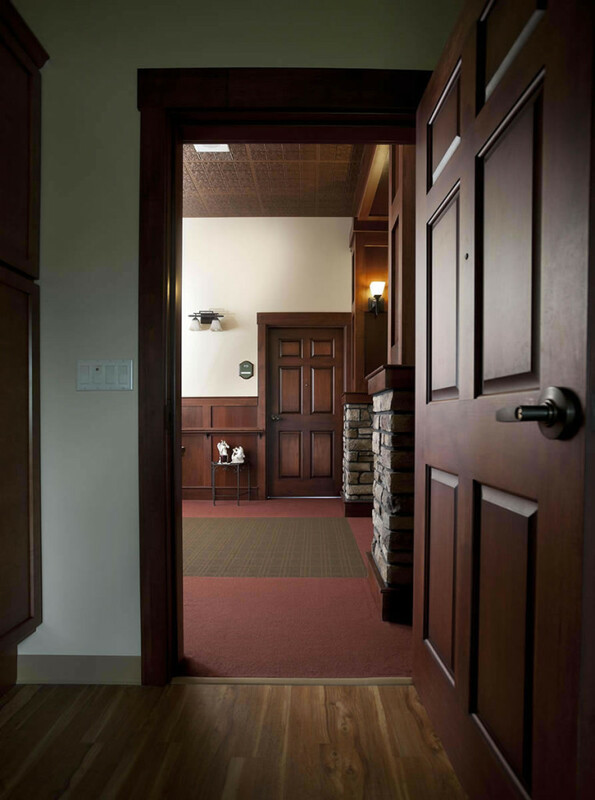 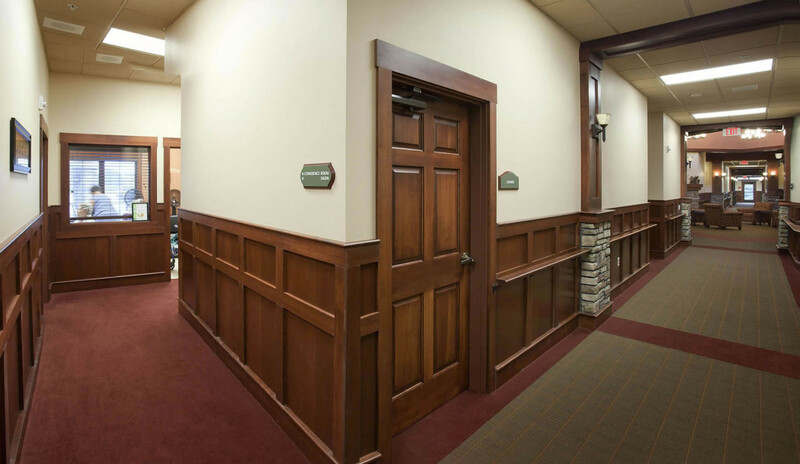 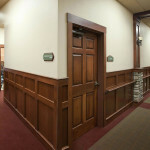 The cherry wainscoting and carpeting carry the residential feel into the hallways. 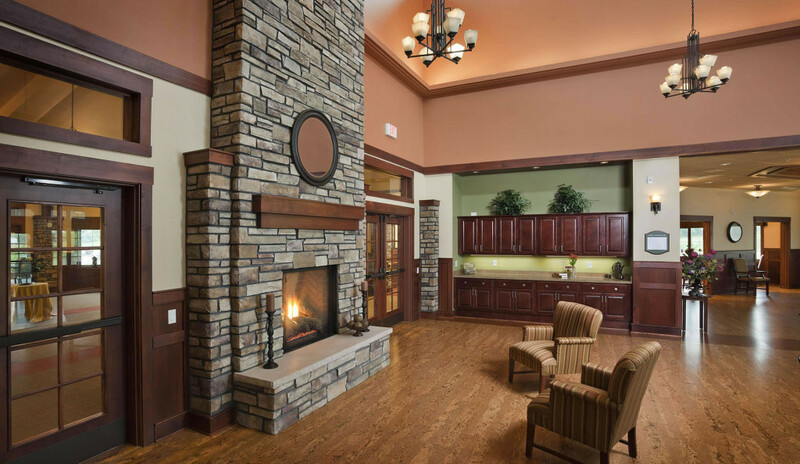 Neutral colors decorate the residents’ rooms so they can more easily personalize them. 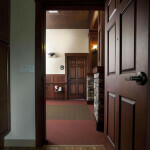 There are 24 private units, two sitting rooms, an activity/party room, salon, exercise room and library. 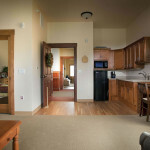 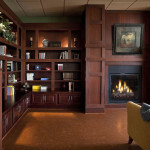 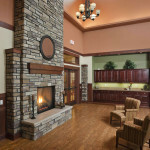 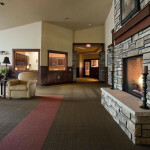 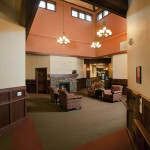 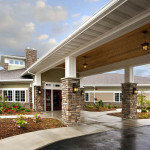 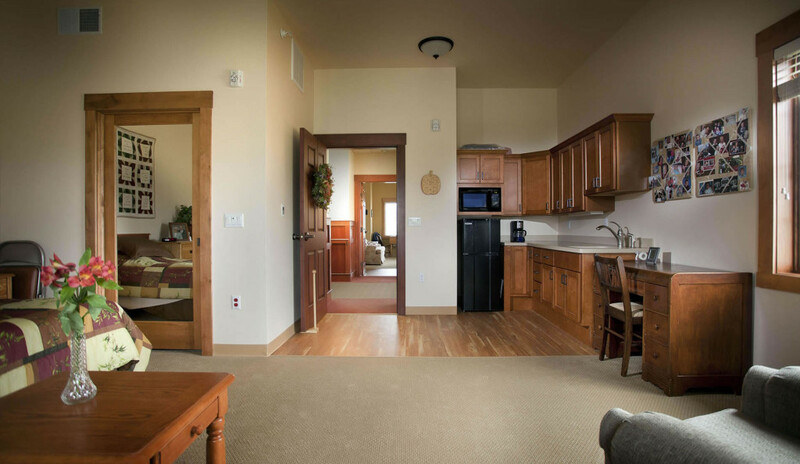 Of the 24 units, six are large one-bedroom suites that surround a the dining room with fireplace. 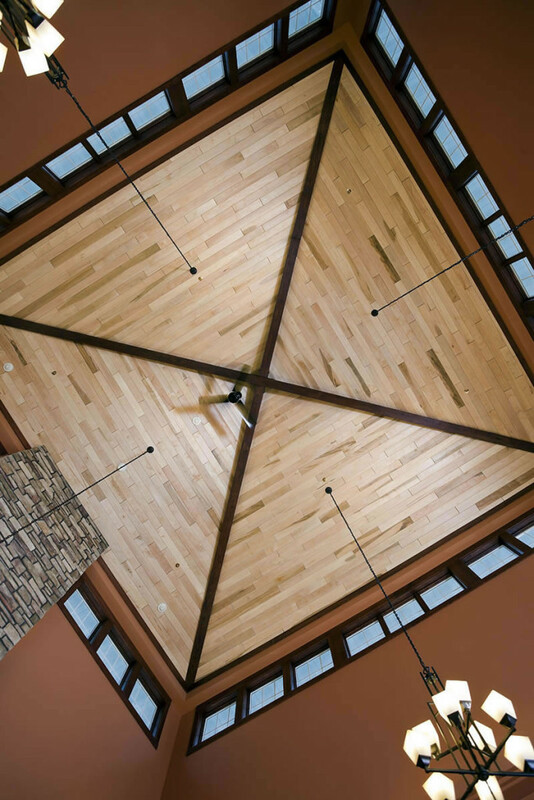 As a matter of course Abacus helps clients anticipate future needs, and initially designed Pine Haven to accommodate multiple expansions. 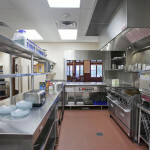 The first, in the spring of 2012, added six more units to meet high demand.